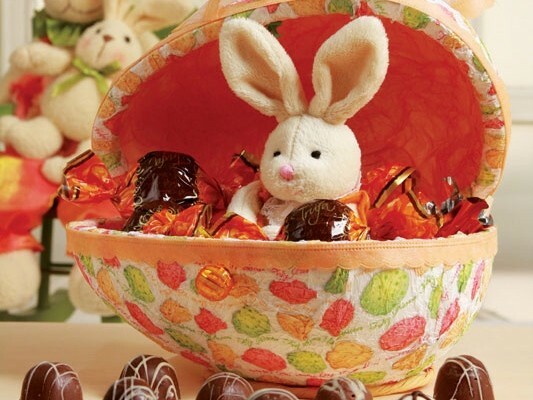 What would be Easter without Easter eggs, candy and bunnies? 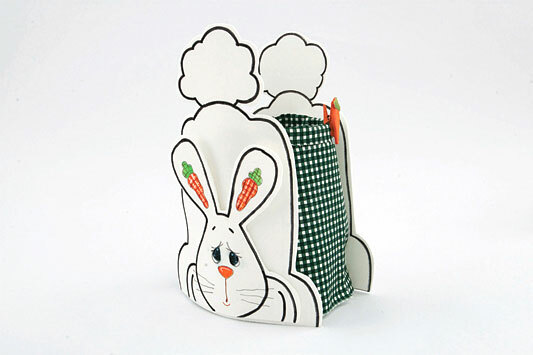 According to the tradition we often give chocolate rabbits and eggs as a gift. 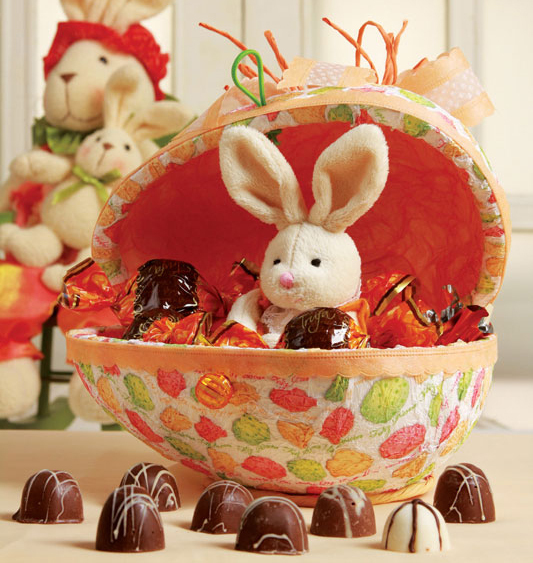 Therefore, we would like to combine all these Easter symbols in one lovely diy Easter gift idea for both kids and adults. 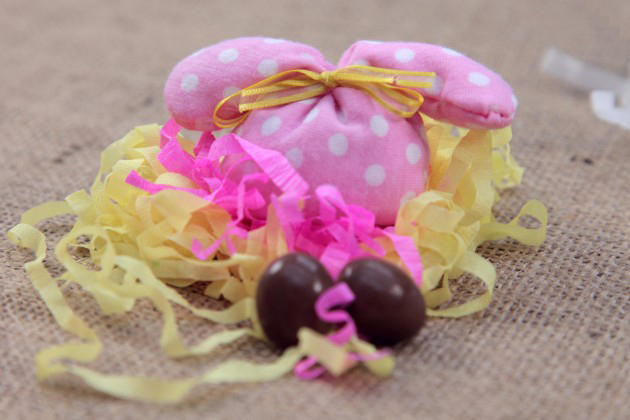 How about to turn an egg into an amazing gift package? Let’s see how to do it. 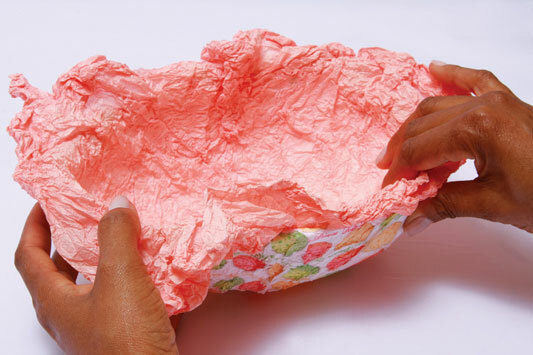 With your hands crumple the tissue paper and open it. 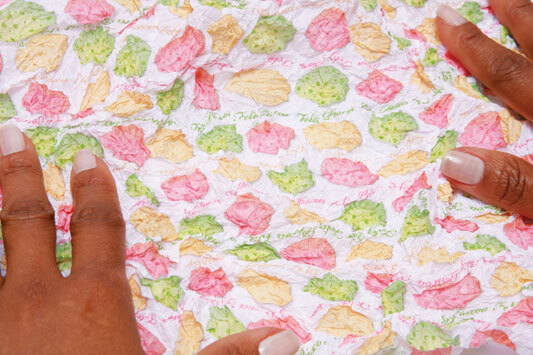 Repeat this step three times with the two sheets of paper. 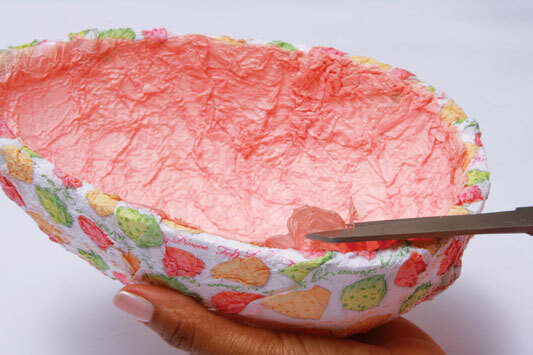 The salmon colored paper is for the inner side of the egg. 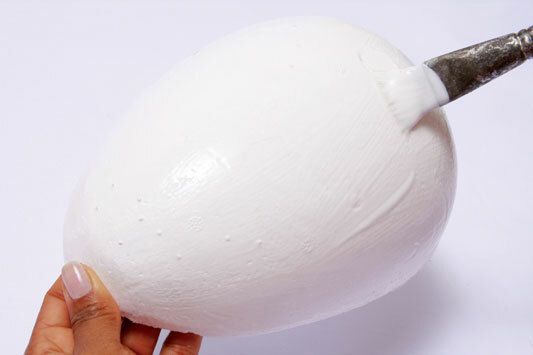 Apply a coat of white glue on the outer area of ​​one half of the egg and glue the tissue paper on it. 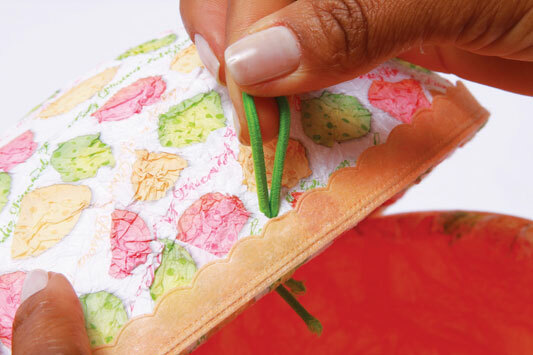 Cut the excess paper with scissors but leave just a little so that you can cover the edges. 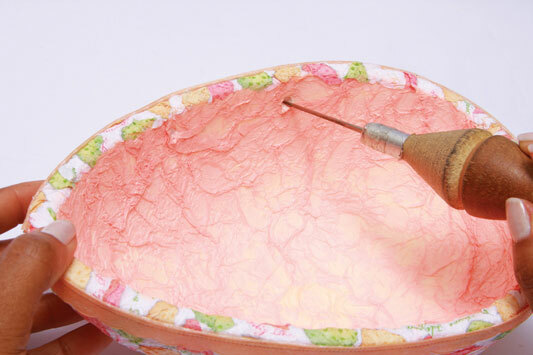 Apply a coat of white glue inside the egg and glue the crumpled sheet of salmon colored paper. 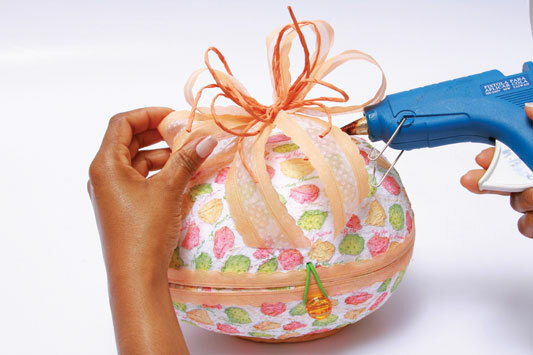 With scissors, trim the excess paper from inside the egg. Repeat all these steps to make the second half of the egg. 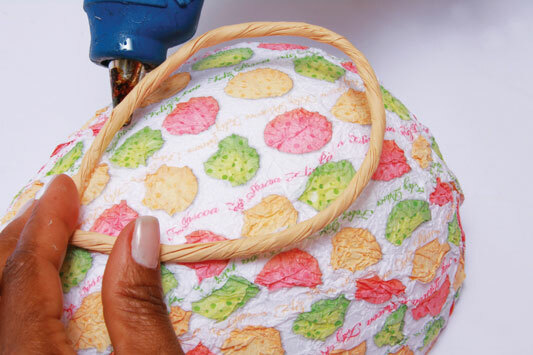 Cut with scissors a piece of 30 cm colored sisal rope and attach it with hot glue on the outside of the egg forming a circle. 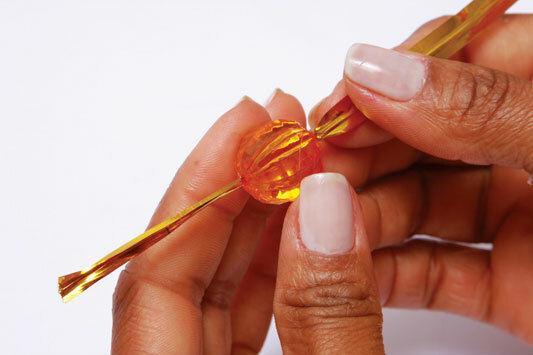 This part of the egg will be the base of our gift box. 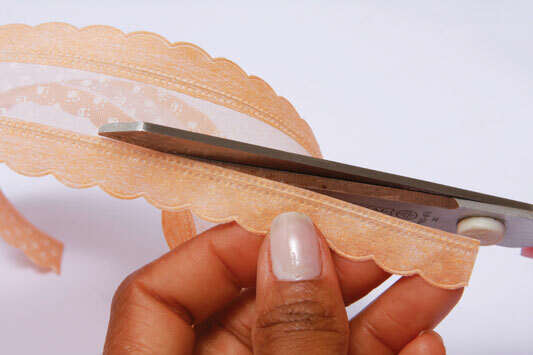 Cut the edges of the decorative ribbon using scissors, apply hot glue and secure the ribbon on the edge to give it a finished look. Make two holes on one side of the egg. The distance between the holes is 7 cm. On the opposite side of the egg wall make a single hole in the center. 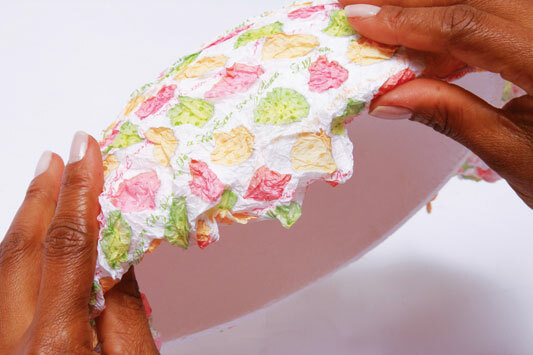 Place the two egg halves next to each other, keeping the two sides together and pass a piece of elastic through the holes, connecting the two parts of the egg. Tie a knot to secure. 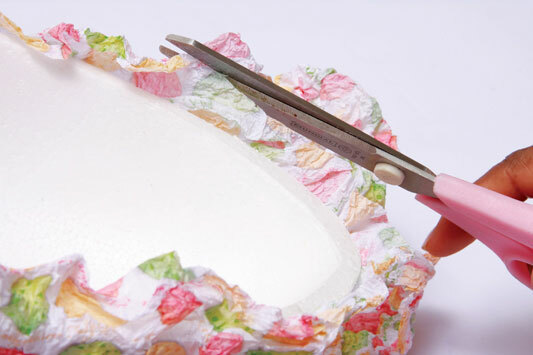 Cut with scissors 20 cm of elastic. 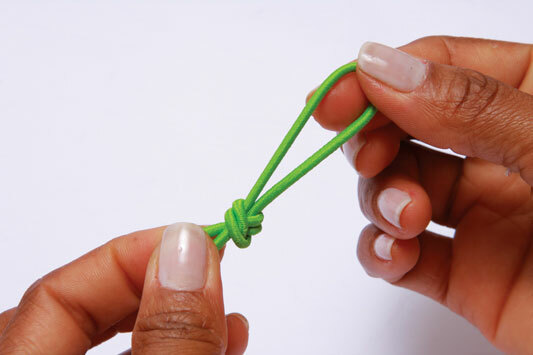 Join the two ends and tie a knot, forming a loop. 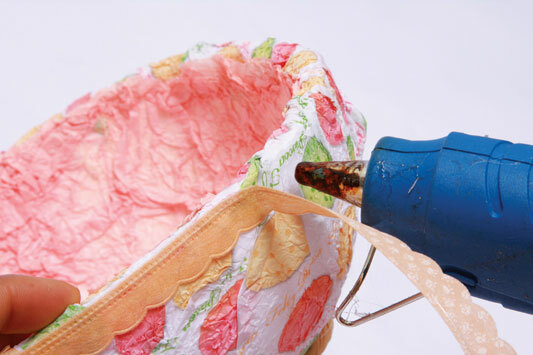 Pass the strap through the hole in the box lid, starting from the inside out. 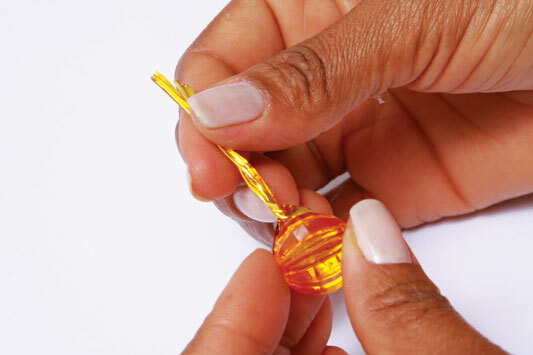 On the other half of the egg we have to secure an orange acrylic bead to keep the gift box closed. 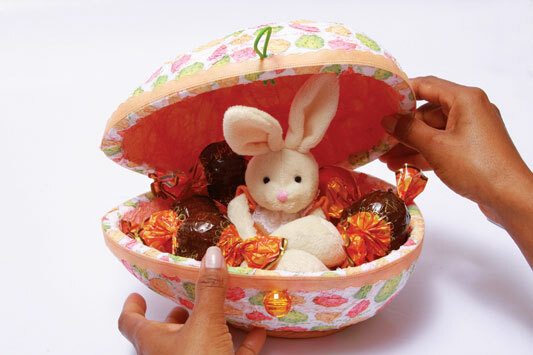 Fill the egg gift box with chocolate and candy and put a small plush bunny in the center. 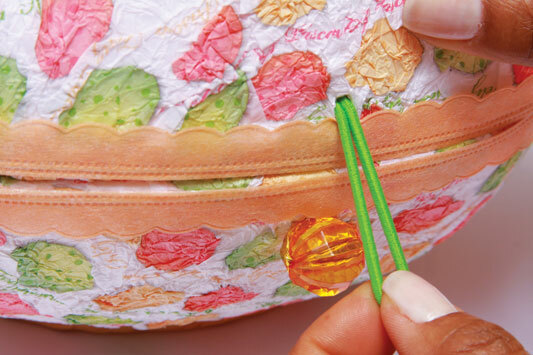 Pull the elastic and close the box. Attach a big ribbon on top of the box to finish the gift.